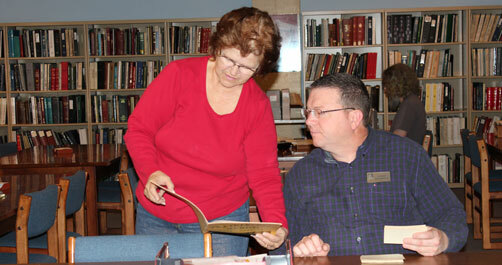 The York County History Center’s Library & Archives houses an extensive and varied collection covering a wide range of topics, including genealogy and family history, local history, decorative arts, community organizations and historic sites, arts and entertainment, and military history. 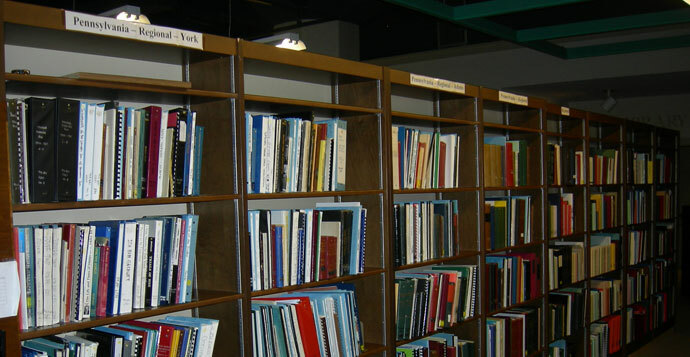 In our Reading Room, we offer extensive collections of family genealogies; books on local, state and regional history, with a focus on York County history; York City and County directories; York County high school yearbooks; historical atlases and maps; and local and regional periodicals and newsletters covering a wide range of topics. The York County History Center’s Library & Archives is also one of the only repositories in Pennsylvania that offers the two major York newspapers and their predecessors on microfilm. For more information about the York County History Center’s holdings, please see our list of the Library & Archives Resources. All library users, whether members or not, have on-site access to the Library Edition of Ancestry.com. Included with this subscription is Fold3 and Newspapers.com/Pennsylvania Edition. Fold3 provides access to US military records and Newspapers.com/Pennsylvania edition provides access to the growing number of digitized newspapers, which now include portions of the Delta Herald and the Gazette & Daily (now known as the York Daily Record). We annually host visitors from all 50 states across the country, as well as several other countries. Visitors receive assistance in using the collection from well-trained staff and volunteers. Because the archives house primarily rare and one-of-a-kind materials, using archival collections can be very different from using other libraries. First time visitors are strongly encouraged to review our Library Rules and Policies. Your gracious cooperation with these policies will help us protect our collections for many, many generations to come. The Library & Archives is located on the first floor rear of The Historical Society Museum at 250 East Market Street, York, Pennsylvania. These materials are accessible to the public through various catalogs and indexes located in the reference area. Trained volunteers, with the support of Library staff, are available to assist patrons in using the collection. For individuals living over 100 miles from York, PA, the York County History Center offers a limited number of research by mail services. All research services utilize the holdings of the York County History Center Library & Archives.